Recreate the days when life moved at a slower pace, and you had time to appreciate the scenery and the birdsong. When the strong and trusty horse took the place of the internal combustion engine and transported you and everything else from place to place. It’s like riding a horse but without the balancing and bobbling about! 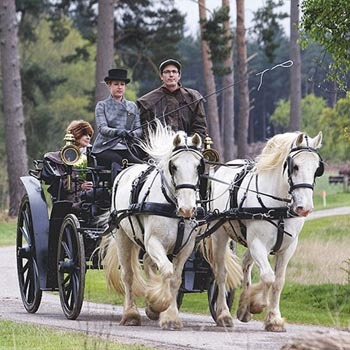 But there’s more to carriage driving than sitting back and daydreaming – to truly immerse you in the world of horses and carriages, many of these experiences teach you how to harness up, hold the reins and longrein a horse or pony.